We are delighted to invite you to our second HCSV Snowshoe Event. You can make a whole day or weekend out of it at Northstar, where you can snowshoe dusk to starry night. Our event organizer, Andrea Wuttke, will be leading those who stay over into Sunday on another hike on Sunday morning. Our Saturday late afternoon Snowshoe Tour begins at the resort's Cross Country, Telemark and Snowshoe Center (where you can rent area) and will take you through the pine forests down to the Village at Northstar. 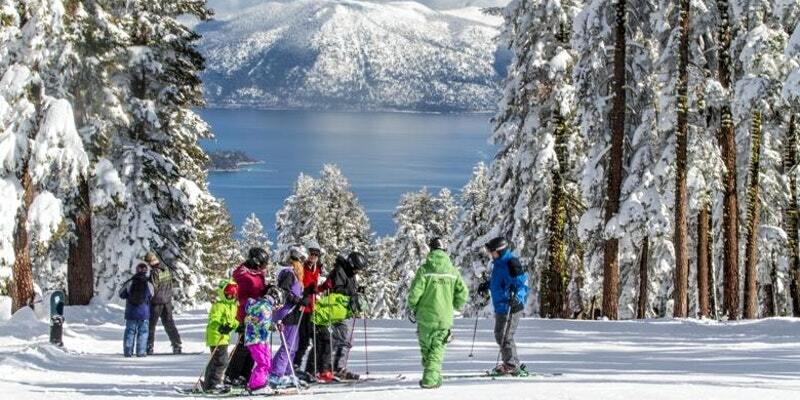 You will explore the wilderness of the Lake Tahoe Mountain range with stunning views to Lake Tahoe. Our tour will lead into the pine forests towards historic routes the first settlers and original tribal routes in use for centuries. The weather at Northstar is supposed to be great, sunny and snowy if the winter turns as usually. We feel will confirm our Snowshoeing Event upon the opening days of the Northstar resort's fall/winter season on November 17, 2017. For the itinerary, options, FAQs and to register, click here.